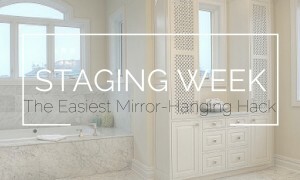 Getting ready to sell your home and thinking about hiring a staging professional? Excellent choice! Unless you have an unlimited budget it is important for you to decide which rooms in your home are the most important to stage. In the video below, Talia Malizia from AFR Furniture Rental share which rooms you should direct your attention to. You don't need all the space in the world to make a room feel open and comfortable. Staging expert Talia Malizia shares a few design principles to help your room feel larger than it really is.